TSSI SMTP component (TSC) provides an easy way to enable the ASP, VB, Delphi, VBA, VC++, C#, VB.NET, JScript.NET, ASP.NET and other COM supportable programming/scripting languages to send PLAIN/RICH messages based on the SMTP/ESMTP protocol. 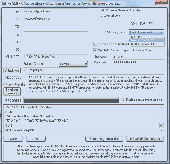 COM library for sending emails from Visual Basic 6 and other COM-compliant programming and scripting languages. COM library for sending emails from Visual Basic 6 and other COM-compliant programming and scripting languages. Supports multiple recipients, email (MIME) attachments, AUTH and POP3 authentication, HTML email, custom headers. FreeSMTP.Net is a free Smtp Component for the creation and sending of e-mail messages in .Net. Written in pure C#, FreeSMTP.Net is fully managed and incredibly fast. 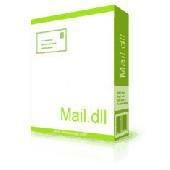 It is totally object oriented and flat out the easiest way to create and send Internet email. FreeSMTP.Net does everything that System.Web.Mail does, plus much more.